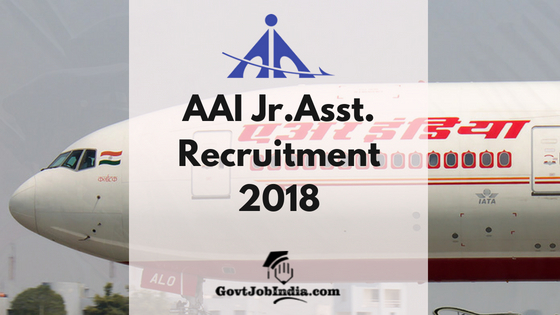 AAI Junior Assistant Recruitment 2018: The Airports Authority of India has released the official AAI Jr. Asst. (Fire Service) Recruitment 2018. This Recruitment aims to select able candidates for the Fire Service department of AAI. The candidates are reminded that the last date for successful AAI Junior Assistant (Fire Service) Online form submission is on 30th August 2018. Candidates are requested that they submit their duly filled AAI JA Application form and AAI Jr. Assistant Application fees on or before the last date. 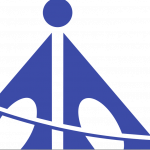 The AAI Junior Associates Recruitment is targeted at candidates who are 10th pass with Diploma and 12th pass (regular class). Thus, this recruitment drive provides the ideal opportunity for candidates who are looking for 10th pass Govt. jobs and 12th pass employment options in the Govt. Sector. All the information you need regarding the AAI JA (FS) recruitment has been tabulated below. Kindly go through this section and make sure that you are eligible for the Recruitment drive. In addition to salary, dearness pay, Allowance, perks, HRA, and other benefits which include Gratuity, Social Security Schemes, and Medical Benefits etc. are also applicable as per the rules of Airports Authority of India. Kindly note that only the Date of Birth mentioned on your Matriculation Certificate will be taken into consideration. No Subsequent change of Date of Birth will be tolerated. Valid Medium Vehicle Driving license issued at least 1 year before 30th June 2018. The AAI Exam Syllabus and Exam Paper Pattern Article contains a detailed overview of the Physical Standards and Physical Examination Pattern and basic requirements to clear that exam. It also has detailed descriptions for the AAI JA (FS) Computer Based Test (CBT) 2018. The link for the same is provided below. All interested candidates are requested to read that page carefully as it is important information that you will need to pass the AAI Jr. Assistant (FS) Exam 2018. Candidates can pay the Application Fees by online mode via Credit Card, Debit Card or Net Banking. Candidates must notice that fees once paid cannot be refunded. Candidates who are interested in the AAI Jr. Asst. Recruitment 2018 can apply online right now. The Application form has been made available on the official website of the Airports Authority of India @ www.aai.aero/en/careers/recruitment. Candidates must first, register themselves on the official website. You are requested to make sure that you have the following before you start your application process. Scanned images of Passport sized photo and Signature. Scanned copy of all the relevant documentation pertaining to educational qualification like 10th pass result, 12th pass result etc. Candidates who are reserved must produce scanned images of their reservation certificates. How To Apply for AAI JA Recruitment 2018? Next step is to upload the images of Passport sized photo, Signature and all the relevant document of Educational Qualification and reservation certificates. Finally, candidates can press the submit button which will lead you to a window for the Fee payment. Candidates can pay the fees online through Credit Card/Debit Card/ Net Banking only. AAi Jr. Asst. Exam Pattern And Syllabus Visit the Exam Pattern and Syllabus page for information regarding the AAI Jr. Asst. Exam 2018. We hope all the information provided here has been of assistance to you. Our very best wishes are with you for your AAI Exam 2018 and your AAI JA Fire Service Application Process. For more information regarding the latest Sarkari Naukri Alerts from around the country, subscribe to our website as we provide the latest information regarding Govt. jobs from every sector of the Indian Government. If you have any doubts regarding the AAI JA Recruitment notification the feel free to talk to us in the comment section below. We are always available to provide you assistance.